Welcome back to another edition of Saturday Night Movie Sleepovers! J. Blake and Dion Baia are kicking the Spring season off with a cult classic -a film largely forgotten by many- or gets a raw deal by those who do. But with the new Avengers: Infinite Wars coming out, the boys thought it was about time to cover this important installment in Marvel history. 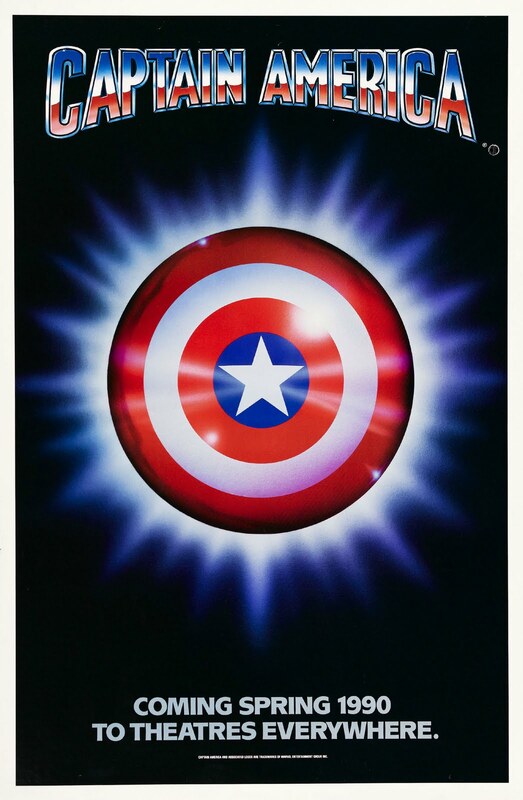 This week it’s they’re talking all things Captain America, from 1990. Dion and Blake chat about growing up being avid comic book fans and how popular the medium was at the time, while reminiscing about the various comic book stores they frequented in that glorious era of their youth. They segue and discuss the history of Captain America and particularly how it related to what was really happening in the world at the time, before they get to the 1990 film. They explore the epic cast assembled and the pitfalls of trying to do a faithful adaptation of a classic character without having the budget to do so. It’s all going down on this epic, all-new episode of Saturday Night Movie Sleepovers! Here’s the entire film in spectacular quality, courtesy of YouTube! Check out the original trailer for Captain America! Take a look at director Albert Pyun discussing the casting the roll of Captain America for his 1990 film. Have a look at VH1’s FLIX 1989 behind-the-scenes featurette of the making of Captain America. And here is a rarely seen 1986 Cannon Films promo for the upcoming Captain America film, being billed then as helmed by Death Wish franchise director Michael Winner! 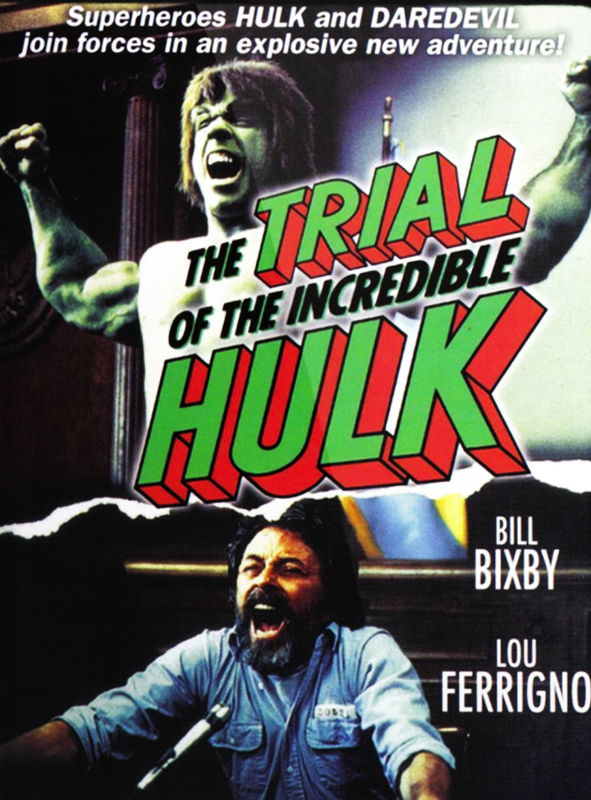 The boys deliver a Special Edition of Saturday Night Movie Sleepovers this week as they go way down the alley and explore the Marvel character Daredevil‘s live-action roots (as well as The Kingpin‘s for that matter), leading them to the 1989 Bill Bixby classic, The Trial of the Incredible Hulk. Dion Baia and J. Blake go into an in-depth analysis of the 2nd in the post-Incredible Hulk series TV movies, which was originally supposed to serve as backdoor pilot for a potential Daredevil TV series, which also starred Lou Ferrigno, Rex Smith and lastly John Rhys-Davies as Wilson Fisk himself. And because they are tackling Daredevil’s small-screen origins, the boys include the 1994 Spiderman Animated Series two-parter from Season Three, which debued the Man Without Fear to cartoon viewers everywhere. They also discuss the resurgence in popularity that has occurred in the past fifteen or so years for the superhero film (and television show), as well as strive to showcase the genius thespian and director that was Bill Bixby, or as they affectionately call him, “the Bix“. Come on down and enjoy a sporadic, exciting and highly informative installment of Saturday Night Movie Sleepovers! As a quick preface to this post (and future posts), my local video store growing up, Captain Video in Cohoes NY, used to have a sweet deal where you could rent five old releases for five dollars for five days. Great deal right? Well as you can imagine, this deal came in handy for many a sleepover growing up…where you’d fire up the VCR and watch movies until your eyes just couldn’t stay open any longer. So “5 Rentals for $5” will be a recurring feature where we here at Saturday Night Movie Sleepovers will provide lists of five movies that would make for an awesome themed sleepover. 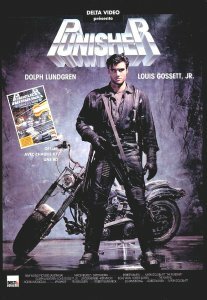 Though Mark Goldblatt’s The Punisher was originally released internationally in 1989, alongside Tim Burton’s mega-blockbuster Batman, it didn’t find its way to the USA until 1991; making it an ideal sleepover rental for the (then) tweens of Dion’s and my generation. Because we are currently thought of as being in the midst of the “era” of the superhero film, it is easy to forget that the success of 1989’s Batman ushered in an entire decade of films focusing on masked heroes, mutant turtles and Power Rangers. So for those of you longing to get a little nostalgic or simply just looking to do a anthropological study about what primitive man watched during the Silver Age of home video, here’s a list of just five of the superhero films that the 90s had to offer that may be worth a revisit.